What’s on the menu in New Orleans? There’s no other place like Louisiana’s New Orleans. Known as The Big Easy, it pulses with music, its own history and the magic of Mardi Gras. It’s also a mighty fine place to eat, melding influences from across the globe into a delicious city smorgasbord. You may wonder about the finer points of the difference between Creole and Cajun, but who cares when it tastes this good? Competing legends swirl around the invention of Louisiana’s most famous sandwich, the Po-boy. But the likeliest origin is that it was invented by a pair of brothers, Benjamin and Clovis Martin, a pair of former streetcar drivers turned restaurateurs. The story has it they invented the sandwich during the streetcar strike of 1929 to give the protesting drivers a good cheap eat – roast beef stuffed into a long, crispy baguette, dripping with gravy. True or not, the sandwich has since evolved, and as often as not it’s fried seafood that lies within the pillowy bread. It’s ubiquitous in the French Quarter and beyond, with some places pushing the limits, while others are renowned for keeping it classic or for the quality of their gravy. Johnny's has been serving them up since 1950 and has a menu that does the staples brilliantly – shrimp, beef, oyster – but also pushes the boat out with alligator sausage, veal cutlet and crab cakes for the adventurous. Boudin means sausage in many parts of the world, but in New Orleans it forms part of the boucherie tradition. As this can include pig’s feet, this is actually the safer option for those who don’t want to get too wild. 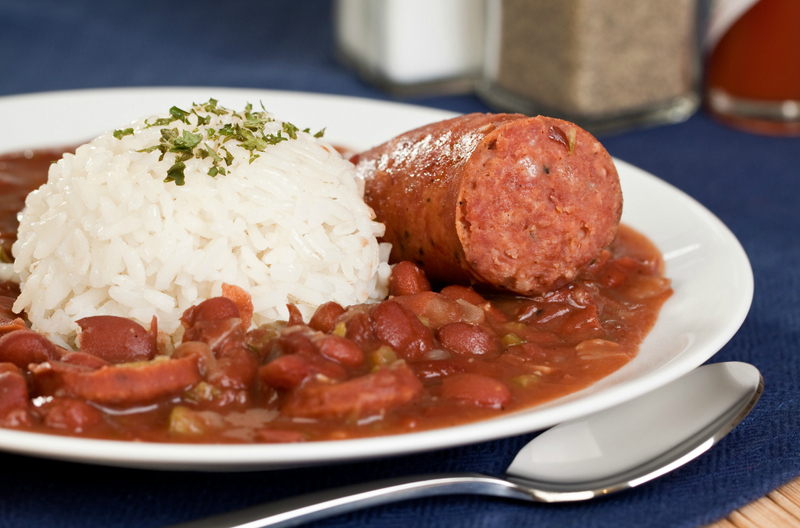 A Cajun sausage, it traditionally uses cheaper cuts of meat, with rice as filler, and is then steamed. The recipe has been refined along the way, and is sometimes served as deep-fried meatballs, like at the wonderful Cochon Restaurant. But for the traditional sausage, pop in next door to the Cochon Butcher, which serves the time-tested link sausage, hot and ready to eat. Think of Jambalaya as paella with local ingredients – after all, the Spanish did once settle here. It’s now a thoroughly Creole affair, with a mixture of onion, pepper and celery sautéed with meats, herbs and spices and other flavourings. The Creole version uses tomatoes, the Cajun version doesn’t. Coop's Place does a great Jambalaya Supreme, and an unusual rabbit and sausage take on it too. They like their oysters in New Orleans. Go to a food festival, a street food pop-up or even fine-dining restaurants and you’ll see oysters bubbling away on the grill. Some say chargrilled, some say charbroiled, but they’re all using the oyster’s natural juices as a stock and adding butter, garlic and herbs to the top. The best place for them? Drago’s, the place that invented the dish. They can sell more than 10,000 in a single day, so make sure you pop into one of their two New Orleans restaurants in Metarie and riverside on Poydras Street. Time for something sweet. New Orleans has a soft spot for puddings, with trademark desserts like king cake and doberge. But it’s the variety of pies that astonish most, whether it’s peanut butter, key lime, banana cream or something more obscure. The champion pie has to be pecan pie; when served warm with a scoop of vanilla ice cream, it’s unbeatable. And if you want the best, make a beeline for Camellia Grill, a traditional diner in the Carrollton district that gets things exactly right. There’s a real pride about food in New Orleans, and the locals love to serve up their speciality dishes to new visitors. 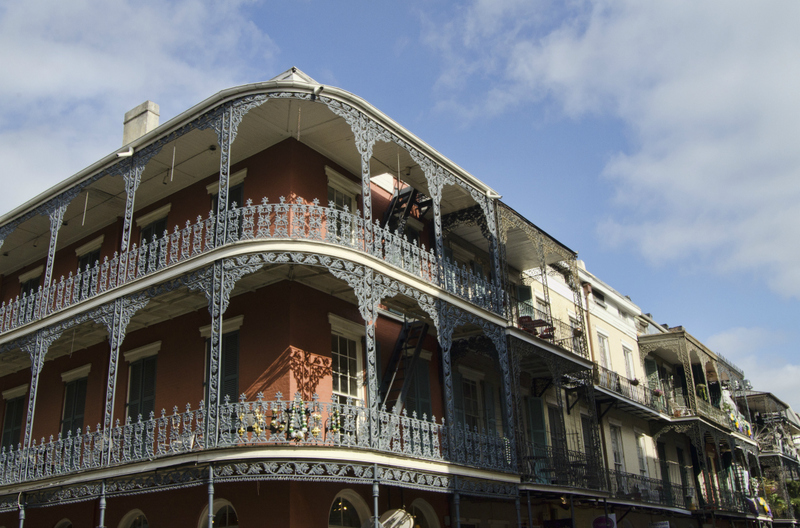 With car hire in New Orleans you’ll be able to eat your way across this fabulous city.